Scott Schlachter is a Licensed Clinical Social Worker who specializes in treating children, adolescents, young adults and their families. He also works with adults and married couples. Scott Schlachter is currently in Private Practice in Beachwood. He also works at Grand River Academy, a boarding school for high school boys, in Ashtabula. Scott Schlachter received his Bachelor’s degree in social work from The Ohio State University in 1982. He then completed a Master’s degree at Case Western Reserve University’s Mandel School of Applied Social Sciences. 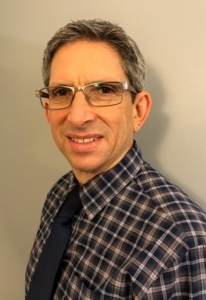 He has worked at numerous Cleveland institutions including Metro General Hospital, Applewood (formerly known as Child Guidance), Bellefaire, Beechbrook and Laurelwood. He has focused on providing individual and group therapy since 1991. Scott Schlachter works with each patient on an individual basis, including family members and others when appropriate. Family members are always included when working with anyone under the age of 18. The Dialectical Behavioral Therapy (DBT), Cognitive Behavioral Therapy (CBT), Family, and Brief Solution Treatment approaches are used. The schools, teachers, physicians, and court are included when needed. Scott Schlachter’s therapy goal is to provide you with individualized, sensitive and practical techniques to manage life’s conflicts.